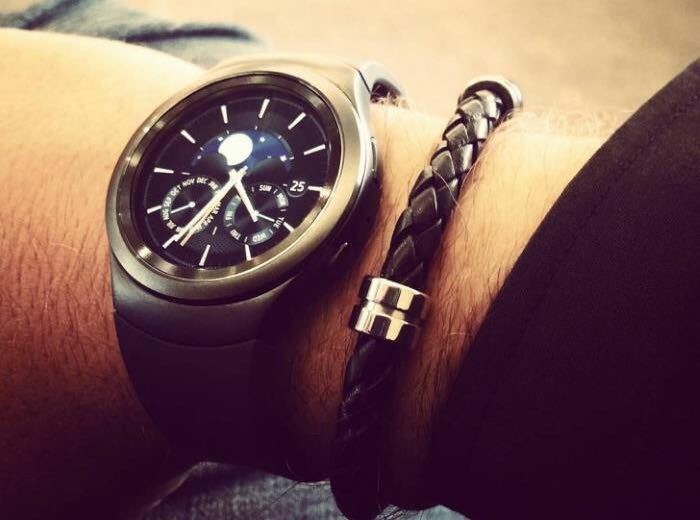 The Samsung Gear S2 smartwatch is now available in the UK, mobile retailer, Unlocked Mobiles now has both models of Samsung’s new smartwatch available. The Samsung Gear S2 is available for £259.98 including taxes and the Samsung Gear S2 Classic is now available for £299.98 including taxes. Samsung’s new smartwatch comes with its Tizen OS, the device will work with a range of Android handsets as well as Samsung’s own Galaxy devices. The smartwatch has a 1.2 inch circular display with a resolution of 360 x 360 pixels and it comes with 512MB of RAM, a dual core 1GHz processor and 4GB of built in storage. The device is designed to be water resistant and it comes with an IP68 rating, it also features a 250 mAh battery.